History repeats: A new plan for mortgages with low down payments. 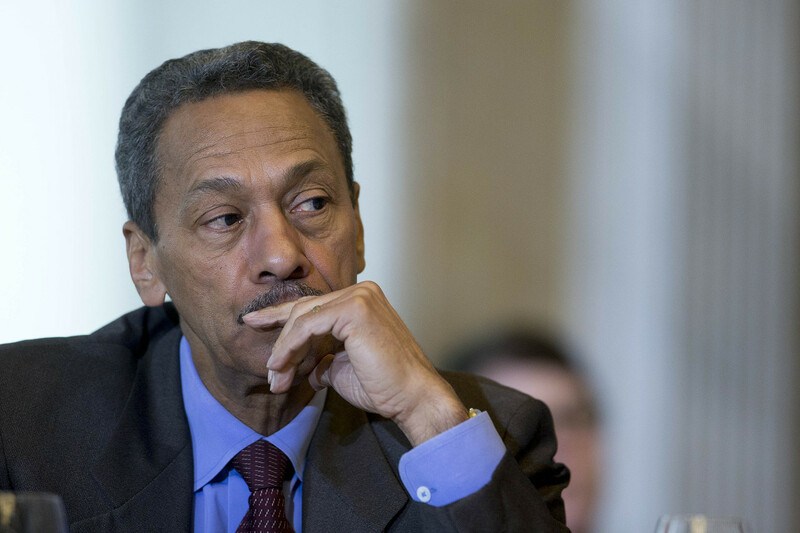 Federal Housing Finance Agency Director Mel Watt has one heck of a sense of humor. How else to explain his choice of a Las Vegas casino as the venue for his Monday announcement that he’s revving up Fannie Mae and Freddie Mac to enable more risky mortgage loans? History says the joke will be on taxpayers when this federal gamble ends the same way previous ones did. If an investor wants to put his own money at risk and lend to borrowers who are putting down just 3%, he’s welcome to call it “sensible and responsible.” And we agree with House Financial Services Chairman Jeb Hensarling that if private lenders and borrowers are operating without a federal backstop, they should be free to set the terms of their mortgage contracts without interference from Washington. But unlike most of the players around a Mandalay Bay poker table, Mr. Watt is playing with other people’s money. He’s talking about mortgages that will be guaranteed by the same taxpayers who already had to stage a 2008 rescue of Fannie and Freddie that eventually added up to $188 billion. Less than a year into the job and a mere six years since Fan and Fred’s meltdown, has he already forgotten that housing prices that rise can also fall? With 3% equity, a modest decline in home prices puts borrowers underwater, owing more than their home is worth and essentially trapped in the house. If they need to move or can no longer make the monthly mortgage payments due to the loss of a job or a family emergency, they are forced to either sell at a loss or default. That’s why Fan and Fred generally stopped guaranteeing loans with down payments of only 3%. We almost can’t believe we have to return to Mortgage 101 lessons so soon after the crisis. And in his Vegas speech Mr. Watt also referred to the continuing hangover resulting from these government-sponsored enterprises owning or guaranteeing too many loans to too many borrowers who couldn’t afford them. How does he think foreclosures happen? There’s already a very good alternative to make sure people can stay in their homes: require a down payment of 20%, not 3%. Mr. Watt also devoted a large portion of his Las Vegas remarks to assuring his banker hosts that new warranty agreements wouldn’t punish them too harshly when they sell a loan to Fan or Fred that doesn’t meet agreed-upon standards or that doesn’t perform exactly as promised. No doubt the bankers were thrilled to hear it, and no doubt many of them will enjoy the next housing boom. But history says the government won’t keep Mr. Watt’s bargain. Fan and Fred executives helped create the last mortgage crisis by loosening underwriting standards and gobbling up subprime paper from the likes of Countrywide Financial in a quest for ever larger bonuses. And though even the Democratic majority on the Financial Crisis Inquiry Commission called Fan and Fred the “kings of leverage” and documented their reckless pursuit of profit, the government has been extracting billions of dollars in settlements from banks that did business with them. As if the two largest players in the mortgage market were unsophisticated victims who had no idea what they were buying. Come the next crisis, count on regulators to blame everyone outside of government. Bankers likely enjoyed the Vegas bash but should remember that after the next mortgage party, they will get bashed again. Mr. Watt is casting his new policies as an effort “to move mortgage finance back to a responsible state of normalcy.” But true normalcy would mean a mortgage market that matched credit with borrowers based on their ability to repay even if housing prices stall or decline. Mr. Watt is proposing a return to the abnormal of too easy credit that leads to boom and potential bust. No doubt everyone who enjoyed the last housing boom in the early- to mid-2000s thought it was normal and appropriate for Washington to enable easy credit for home borrowers with little down payment. Then the defaults started rolling in.